“I’m so damn confused right now and I love it!” This was my answer when my wife asked how I was enjoying Obduction not more than an hour into the game, and it’s a feeling that stayed with me for the duration of my journey through the alien landscape, much like Myst did more than 20 years ago. Myst changed my perspective on gaming and what it could be. I spent hours not understanding anything in Myst, just wandering the world. I was young the first time I played it and the puzzles went way over my head. Every once in a while I would find something that would click, like that grid puzzle in the fireplace, but it was years before I completed it for the first time. My most vivid memory from Myst is not figuring out the puzzles, but loving the mystery that this uncanny world presented. The first time you teleport to another world in Obduction feels just like unlocking those books to other ages in Myst. Cyan is great at creating mysterious civilizations that were once thriving and are now desolate. That isolated expanse persists through Obduction. Each new area is unique, going from the brightly lit desert town to a mist filled haven built from stone and steel, and more later in the story. It was, in fact, walking down one of the narrow metal bridges in the foggy granite canyon in Kaptar (the second area) that really hammered the Myst/Riven connection home to me, making me pine for the more innocent days of my youth. As a game developer, there is such thing as gamification, that is to say, compromising the story or world for the sake of game design. As I discovered in my interview with Rand Miller at PSX last year, he values a balance of environment, narrative, and game design. He wants to puzzles in the world to feel inherently connected to telling the story, that story to be supported by the environment, and the environment to make for good puzzles. It’s an iterative cycle that, for better or worse, is quite clear in Obduction. Let me be clear. 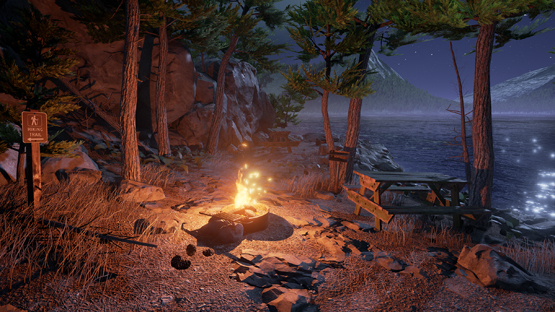 Obduction is not a casual gamer’s game. Most every puzzle in Obduction helped me to gain a better understanding of the world, or sometimes an understanding of the story led to figuring out a puzzle solution. Why and how a particular door was locked or path was blocked off is reconciled in the narrative, told through journals, sheets of paper and other bits around the world. I did run into an occasional issue where these in-game sheets of paper were hard to read, whether it was too small on my TV or just illegible handwriting. Subtitles for in-game text would have been a nice addition for accessibility. It makes it too easy to skim over important plot points just because it is inconvenient to read it. There’s one particular puzzle that is strictly mathematical in nature, utilizing an alien base 4 number system (instead of base 10, as humans use). It’s a complex system I’m not sure if I fully understand, but I fail to see most average players getting this one without at least looking up a hint. As long as Obduction could possibly take you without a guide, looking up the solutions would complete the game in a fraction of the time. It’s okay though. Every puzzle has a logical answer and solution that can realistically be discovered through thorough exploration, so I’d recommend that even if you do look up solutions, try to understand the why behind the answers. It will give you more insight into Obduction’s fascinating plot. Speaking of plot, it’s tough to delve into without spoiling too much. What I can say is that it seems pieces of earth are being stolen from time and space, redeposited on an alien planet. You are the latest to be transported to this makeshift town, but when you arrive, the people you expect to see aren’t there. You must discover where they went, why you are here, and how to get home. Musical overtures come in at just the right moments during exploration to really give Obduction a cinematic feel and bring these worlds devoid of the living to life. The biggest detriment to enjoying Obduction is a wealth of performance issues that persist throughout the game. From the moment I first gained control of my character until the very end scene, there wasn’t a space of longer than 10 seconds that the game went without dropping frames, stuttering, and even freezing for a couple seconds at a time. It got so bad my wife couldn’t stand to watch me play because it was making her sick. This is compounded by the excessively long load times between worlds, which becomes a major problems when some later puzzles rely on shifting back and forth between worlds constantly. One of Obduction’s final puzzles is an aggravating test of patience due to these load times. It becomes the memorable focal point of the game in the worst way, simply because of how long it takes to complete. I had to resort to a guide simply because I did not want to waste any more time swapping between worlds to test theories and try failed solutions. It’s hard to tell if the dev build just didn’t have these long load times, or if they were so stuck on the puzzle idea, that it remained in the game in spite of how long it takes to complete. On more than five occasions the game crashed while attempting to swap between worlds. It even kicked me back to the PS4 menu when I was just walking along, minding my own business a couple of times. While I was excited to play Obduction in VR, the PS4 launch did not immediately include PSVR compatibility. Said to be coming at a “later date,” it’s a small wonder to me that it’s been delayed with as many technical issues as the normal game has. I’d be very hesitant to try the game with virtual reality now, hoping that it doesn’t suffer from the same inconsistent frame rate as the base game. When the PSVR compatibility does finally release, I’ll brave it and be sure to let you know my thoughts. Obduction houses not one, but many vibrant, lush, and mysterious worlds in a package that seems to be made for old Myst fans like myself. 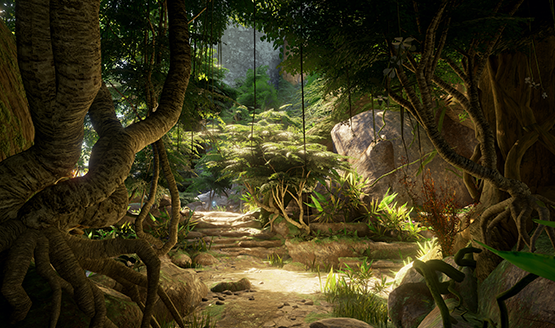 The balance of symbiotic nature of environment, narrative, and puzzle design means that Obduction constantly feels riveting and natural. It’s a delight to experience a modern game with that classic Cyan design, but the technical issues detract from the experience far too much, even going as far as artificially increasing the time it takes to complete some puzzles. I managed to really enjoy the experience that was crafted, but it wasn’t without a fair amount of annoyance at little optimization problems that make Obduction far from perfect. 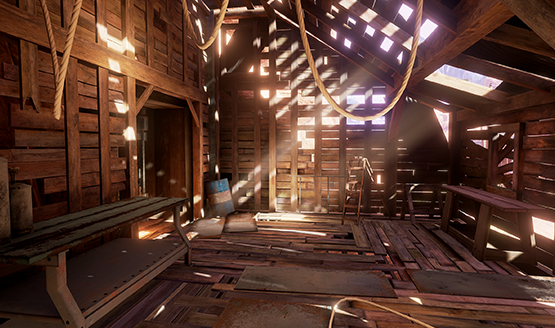 Obduction PS4 review copy provided by developer. For more information on review scores, please read our Review Policy.